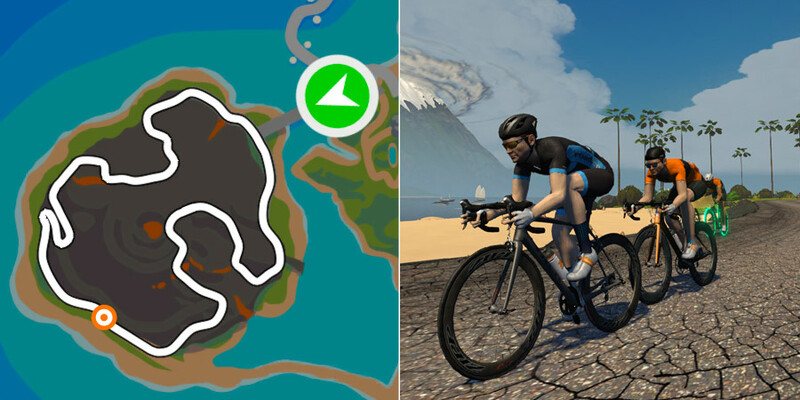 Watopia's Volcano Circuit CCW is a favorite for crit-style racing. 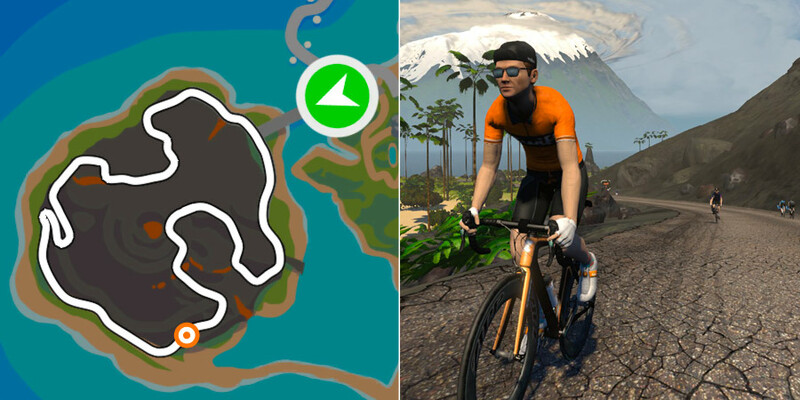 Riding through an active volcano keeps things visually interesting, while tight turns and a ramp to the technical finish force you to stay vigilant throughout the race. What follows is a detailed look at key sections of this route from a racer's perspective. 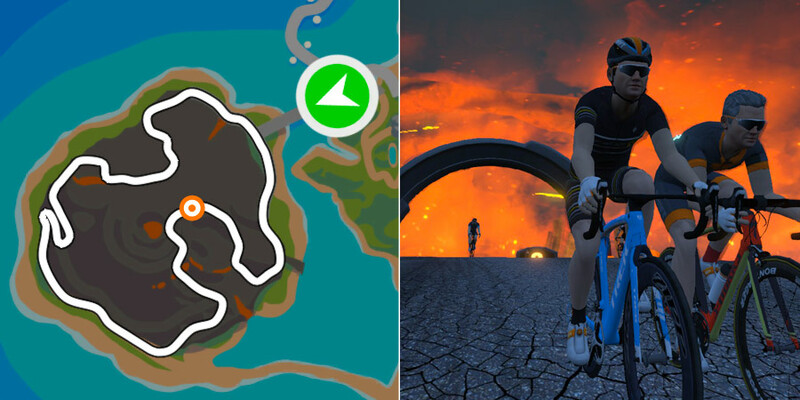 UK Zwift champion and KISS Super League Community All-Stars team leader Kim Little has generously shared some pointers, so get ready for a quick tour including key tips for achieving your best results when racing Volcano Circuit CCW. Most Volcano Circuit CCW races are 4-6 laps in length, although some may feature as many as 10. This route, while mostly flat, has more than enough bumps and turns to keep things interesting lap after lap. If you can hang with the front on repeated efforts up the ramp to the banner, the final challenge is timing your final sprint just right. It's not easy, but it sure is fun! Kim says, "The start of this race has a short lead-in before entering the volcano and is typically chilled since any attacks out of the gate will be neutralized fast on the flats. So save your energy here and ride wheels in the draft." The lead-in from the start pier has you heading up a slight ramp and through the glass tunnel bridge onto the circuit course. 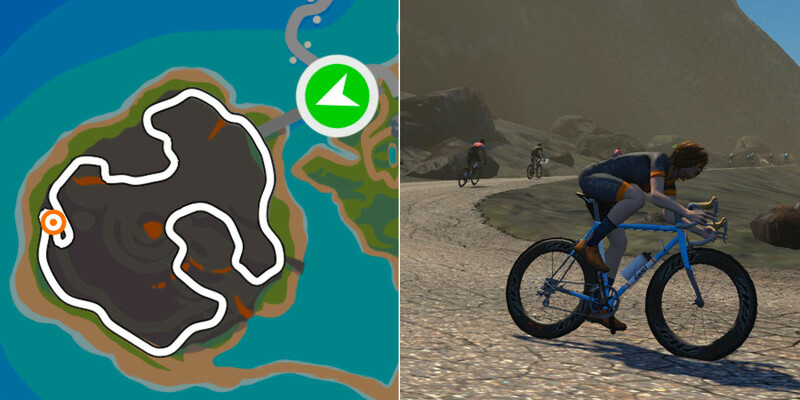 As part of the lead-in you will actually complete approximately 3/4 of a circuit lap, making your way around the volcano counter-clockwise until you hit the lap banner and your first lap begins. Kim says, "Exiting the glass tunnel you join the race circuit on one of its flattest sections. Entering the volcano the gradient stays at zero percent, and this is a good opportunity to move up the pack toward the pointy end to gain a better position and be able to respond to any attacks." Kim says, "As you exit the volcano for the first time the road heads downhill into two switchback turns. The pace can swiftly change here so stay alert and watch for any attacks but don’t panic and let others close any gaps that may appear." Kim says, "At the base of the descent the gradient flattens for around a kilometer. This may seem like a dull section but can be a prime place to attack on the final lap. If you are feeling confident, aim to use an aero power-up and slingshot past the group to gain a gap before the climb." The peloton often strings itself out here as riders jostle for position or even launch early attacks before the ramp begins. If you are a heavier rider, position yourself wisely by moving to the front of the pack on this section. This gives you a better chance to grab a wheel once the short climb is finished. Kim says, "As you pass the intersection the road bends to the left and starts to climb. This is where the fireworks start to happen, but even though the pace will increase here it’s very hard to get a gap, so aim to stay in the draft and let others drag you up the climb. As you crest over the top grab a quick breath to recover when the road flattens before the final kick to the line." Lap after lap, this is where the strongest attacks happen. If you've got a feather power-up, save it for this section to gain a slight edge. Kim's advice is wise: don't burn all your matches on this ramp. Many racers have dropped the field here going into the final sprint, only to be overtaken in the last 200 meters because they couldn't sustain the effort. Kim says, "If it's the final lap aim to start your sprint from around the third wheel just as the road bends to the left and then right (around 250m before the line) and drop your power-up if you have one. 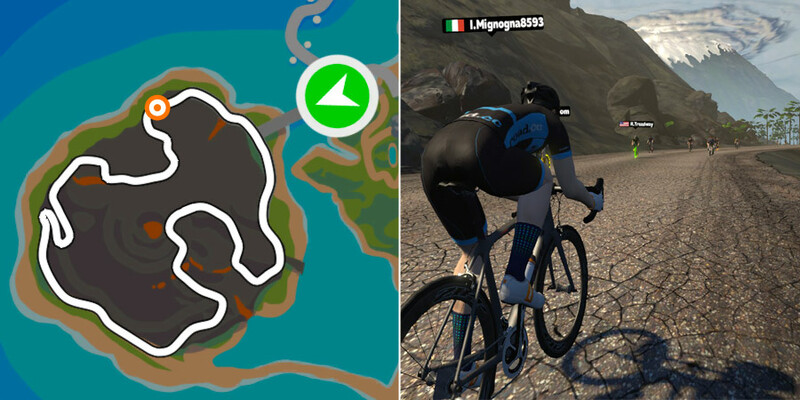 If you have more laps stay tight at the front or if feeling strong here a well-timed attack coming out of the volcano can work well as other riders have burned matches on the climb." This is one of our most technical finishes since the mix of uphill ramps and sharp turns make it difficult to gauge distance and gradient. Many racers start their sprint too early, but the pack sprint win usually goes to the rider who has patience and a strong final kick. We hope you've enjoyed this Race Recon. 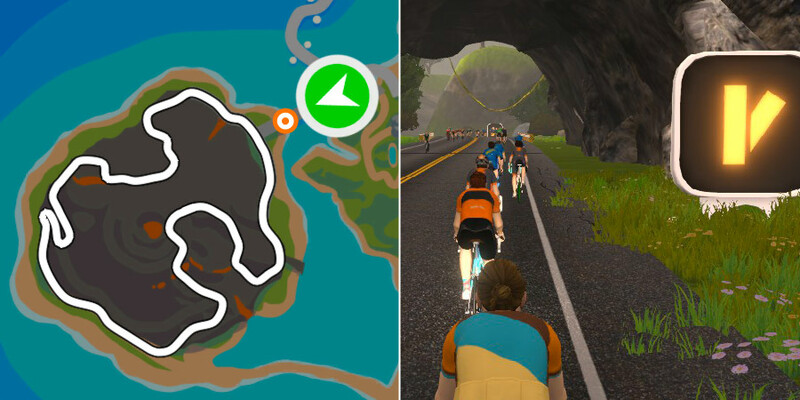 The goal of this series is to explain the features that make each Zwift route uniquely challenging for racers. Previously we looked at the Watopia Mountain route. Be sure to read that post for more tips!